a giant snail. 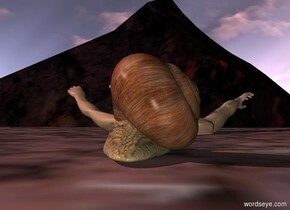 a swimmer is -20 inches in front of the snail. the swimmer is 25 inches in the ground. the sun is pink. it is morning. 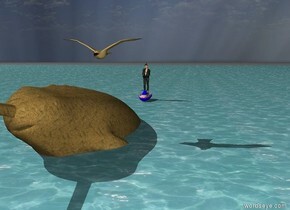 a rock is in front of the swimmer. the rock is huge. the sun is grey. The huge [Trump] wall. it is facing southeast. 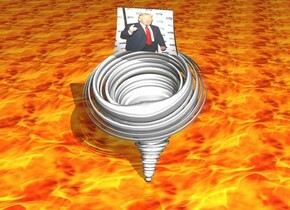 There is a tornado under the [trump] wall. it is afternoon. the ground is [fire]. [fire] is 100 feet long.